A dedicated collector that came over to the US from Russia with his family as a six-year old with an NES to accompany him right before the fall of the Soviet Union. 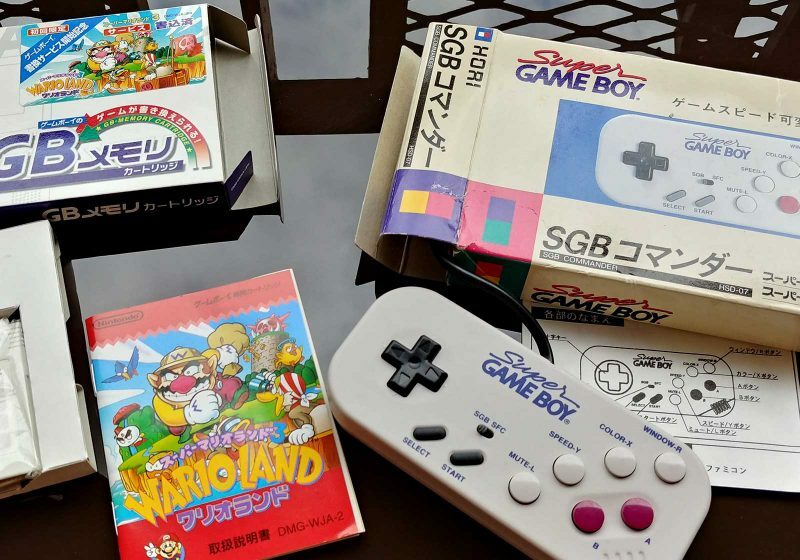 Much like myself, he always found himself a generation or two behind the most modern gaming while growing up, but he developed a fine appreciation of a lot of platforms, while also developing a special fondness for the portable games. (Although he’s also nearing completion on his PS1 collection). 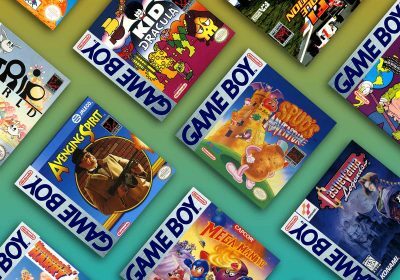 I talked to Vlad about what makes him happiest while collecting and what the challenges in his collecting goals for the Game Boy family, and his thoughts on original and modded portable hardware. He also balanced the conversation with his thoughts on collecting fatigue/addiction and avoid letting it take over your space and finances. The result is an interview that was an enjoyable conversation and I think will make for a comfortable read for other like-minded collectors. Enjoy! In 1988/89 my parents visited the USA (my father’s family already lived here) and brought back an Atari 2600 and an NES with a handful of games that was gifted to my father by his cousin. I don’t remember the Atari at all, my dad says it was lame and gave it away or sold it when they got back but the NES stayed with us and I gamed on it for years and the first games I remember (Super Mario Bros., Duck Hunt, Tiger Heli, Gotcha!, and Spy Hunter). We ended up emigrating to the US in ’91 (literally weeks before the Soviet Union collapsed) and brought the NES with us, which was all I had for a few more years until getting the Genesis some time in ’93. In the Soviet Union no one had any game consoles but a select few who had connections with government or Western countries (like us), heck even color TVs were a luxury. All entertainment technology was prohibitively expensive and hard to get… VCRs were the luxury of either the government elite or citizens who had some sort of side gig (which was illegal… everyone had a government appointed job and all manner of entrepreneurship concluded with imprisonment). Only government programmers had access to computers. So while I didn’t know it at the time, I was an extremely lucky little kid having an NES with half a dozen games in the late 80s, I can’t imagine there were more than a couple thousand of us in the entire nation. I have little memory of my early childhood, much of it begins after we emigrated to America (I just turned 6 at the time). It was a pretty traumatic experience which ‘woke’ me so to speak and I remember few things from before. We had a more or less ‘posh’ life in the Soviet Union but here we were dirt poor – for lack of a better term – for years until my parents worked their way up. First few months the 5 of us shared a one bedroom apartment (with the grandparents – Mom’s mother and her husband) until we moved into a 2 bedroom where we lived until I was about 12. I had the living room and Parents / Grandparents each had a bedroom. Throughout it all I had the trusty NES – though trusty is probably not the right word as the darn thing never worked right and at times I’d spend more time getting each game to work than actually playing it. 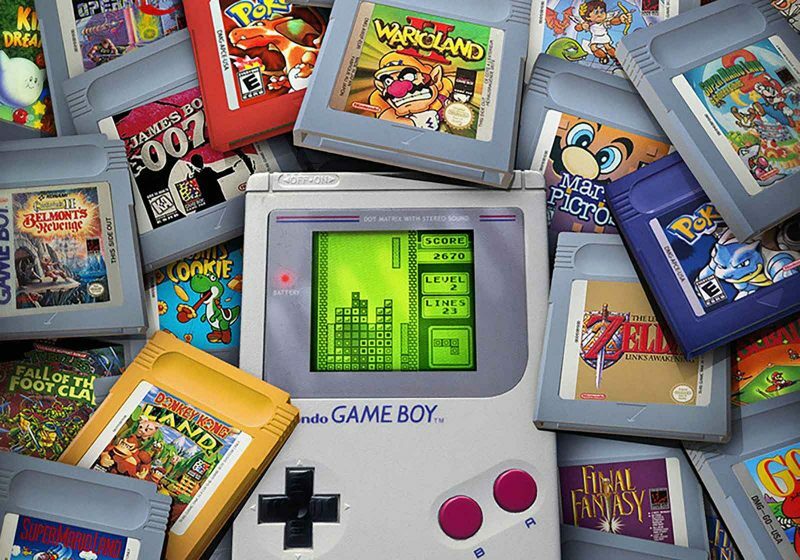 I kind of sucked at games as a kid… could never get past level 2 in Contra or Castlevania… never did beat Mario 1/2/3 until I was a teenager, but that never stopped me from loving to play them. 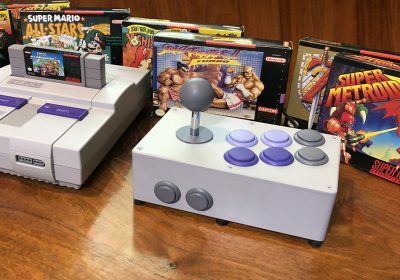 I suppose my experience with the NES should’ve transformed me into a huge fan/collector but nope, I couldn’t wait to move on from the finicky hardware and limited gameplay… I was in love with stuff I saw at the Arcades…. the early 90s stuff… Daytona USA, T2 Arcade Game, both Ninja Turtles, Street Fighter, Aliens v Predator, X-Men, Mortal Kombat etc (even though I sucked at those too). Eventually my parents bought me a used Sega Genesis from their friends who no longer used it, I think this was about ’93-94, so well into its life cycle and right on the cusp of the 32bit 3D revolution. I never had many games for it but it is such a great system almost every game blew me away… Sonics, NBA JAM, Landstalker (still one of my favorite games of all time), Street Fighter 2 Championship Edition and of course Mortal Kombat… with blood! As much as I liked it what I really wanted was a SNES, which I didnt get until another family friend was getting rid of theirs three or so years later. My dad worked construction at some point and brought back a 386 IBM compatible he found/bought on the cheap around that time as well… so I was experiencing the best of American gaming culture 5-8 years behind the curve but I didn’t care, I loved every minute of it. Needless to say loving this stuff but growing up poor I always felt like “oOo, i want that game!” but unless it was <$10 at the flea market it didn’t happen, so when I got my first job I started buying games! I guess I’ve been collecting ever since. How long have your actively been collecting (vs just getting new games when you were younger)? Since 2003. I got a job at my college’s computer lab and that gave me income to play with. I had recently won Medal of Honor Infiltrator from some website and was surprised how awesome that game was (i was already a die hard GBA fan since release but mostly just used one of the early flash carts). My friend had also recently given me his old SNES games and combine that with a sense of wanting to revisit games i played in the 90s and you had a perfect storm. Been at it since, with a few distractions along the way. I think DMG Gameboy carts are the cutest thing ever. I loved them as a kid and I love them now. I cannot pass up a cart in good condition that I don’t yet have. I also have an unnatural obsession with quality/detailed pixel art… the kind you’d see on the Amiga and home computers in the early/mid 90s and of course on the SNES and Genesis. I made a conscience decision to not collect for the SNES due to cost but I’ll grab a gorgeous Genesis game here and there if the price is right and if I find a big box early 90s 2D computer game, you won’t be able to pry it from my hands. Also a sucker for hand-drawn 80s/90s artwork before Photoshop became the norm. I am very happy with my portable games collection: Gameboy, Game Gear, GBA, PSP. Specifically though, I’m very proud my CIB GBA collection. Along with PSX it was the first thing I began collecting in 2003 and stuck to. I’m less than a dozen games away from completing it (going for all good/great English games) with only a single rare game to go. I’ve tracked down some games over the years that I’ve not seen before or since. The CIB portion makes it really challenging, some games that are common for just the cartridge can take years to track down complete in box. Though that same PSX collection is also less than a dozen games away from completion and I love it. Truth be told I’m proud of all of it. I am patient pulling it together and do a great amount of research as to what I want to include. Oh wowee that’s a loaded question. Collecting is so much about that “just one more…” chase. I don’t go for full sets (except maybe eventually for the Gameboy DMG) and generally built my collection around two desires: The ever popular ‘The Games I played as a Kid’ for some systems and ‘All the Good games on the System’ for systems I have a particular fondness of. 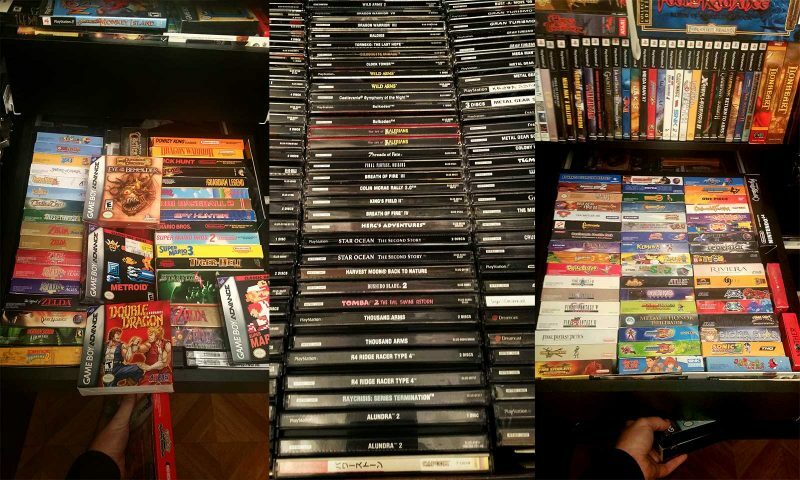 I have lists of the games I’m looking to procure for all the consoles I collect for, and there are not all that many left… less than a dozen for each of them with the exception of Game Gear and PSP which is at about 20-30 (surprising amount of quality titles there). And while I’m not into the modern gaming consoles, I already decided I’m going to be collecting for the Switch so we’ll see where that goes. These days there are a lot of ways to play old games that are 99-100% accurate, collecting is more than just about the collection, in some ways. I love the research and hunt that goes into it. I love meeting others passionate about the same stuff as I am and I love talking about history and stories behind each piece. I think more likely than not, once I’m “done” I’ll just dismantle part of it to pursue another part, though there are pieces I’d never let go of. Depth and Focus. Research and patience is the key to a unique collection. 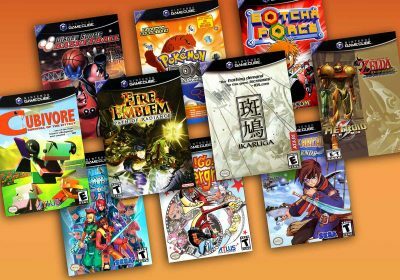 It’s easy to assemble the best/most popular 50+ games for any console (albeit expensive at times). It takes more commitment to document/play an entire library and pick out the interesting pieces, the ‘hidden gems’ so to speak, and then to actually track each down, especially if you expand it to other regions. I got lucky in the sense that I started collecting when I did, I was able to buy games before they hit the critical mass collector’s market. 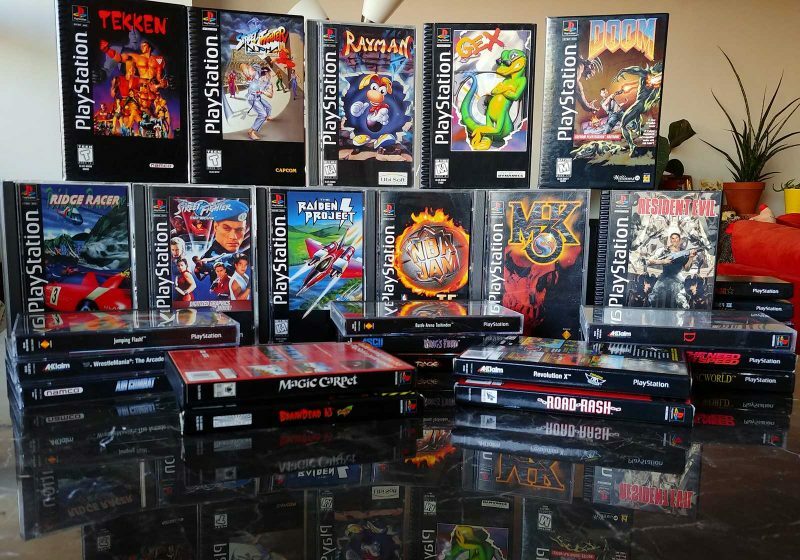 I also like the idea of when everyone goes right, you go left, this can lead collectors to uncover some really affordable and wonderful gems for consoles that are not the current du jour, potentially getting ahead of the curve. 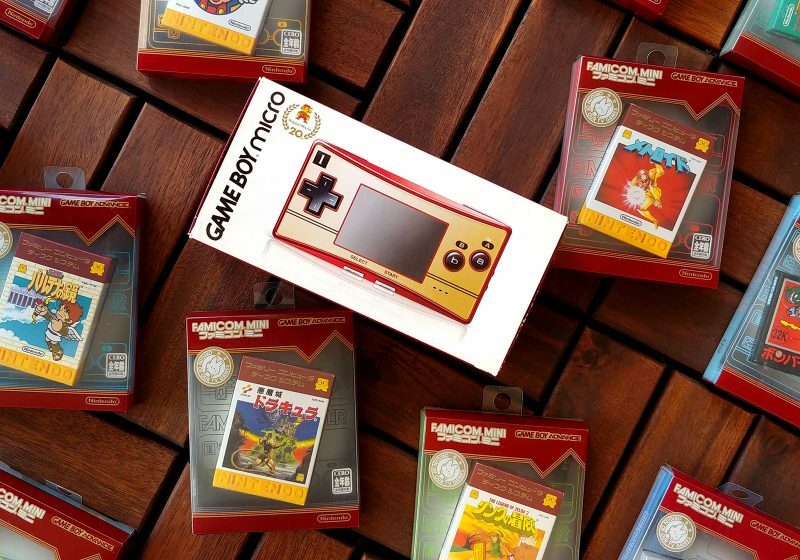 How picky are your on box condition when it comes to the Game Boy family? I never even bothered collecting CIB DMG games… the cost is absurd due to that rarity and my sentimental/nostalgic connection is to those grey carts haha. But now that I have such a huge cart collection for it, I’ve gone back and outlined about a dozen games I have a special bond with that I really wanted to have CIB… nothing crazy, mostly first party stuff like the Mario/wario games, Zelda, Yoshi etc. Luckily they’re cheap since Nintendo made and sold so many, though Zelda is really getting up there! With GBA it was easy at first since I’ve been following it since release, though GBA boxes are a lot more fragile than the older DMG games. At least 25% of my collection is actually still sealed since I had a flash cart (I now collect those too…) for it pretty early on and bought the good games to keep. The hard part is going back now and picking up the games I missed… the GBA had a huuge library of upward of 900 releases, and even when I was staying on top of releases online and downloading roms… i missed a TON. Thing is, it seems to be more or less the same games everyone missed and now we’re all after. I’ve actually managed to stay ahead of the curve on pretty much every GBA collectible game but there were still a couple that demanded that ‘well-over-$200’ price tag. I’m coming to terms that I’ll end up paying over $400 for the last rare game I want. Condition is very important but I’m not picky about it, but the box must be presentable/displayable. It cannot be crushed, it must have good form and stand on it’s own, but I’ve gotten to be accepting of creases and dents as those are more or less unavoidable unless the original buyer made a concerted effort to baby the box. Also sometimes if you pass on a box that let’s say is a 6/10… you’ll probably never see another box period. Aladdin for GBA is one such game, it took me 14 months to find a copy with the box, I was buying it no matter what. It’s probably a 4 or 5/10 but I managed to restore it’s form by cutting up some rigid cardboard to perfect size and putting it inside against the edges to give it a rigid form… looks great now! I’ll always pick up rare boxes if I see them… I know how rare and hard they are to find and will keep doubles or triples to trade later down the road. What about manuals? How essential are they for you? All my CIB GBA must have the manual. If I’m looking for a CIB game, I’ll never buy just the cart or manual or even Cart + Manual, I find that unnecessary and you end up buying it CIB later on and having to get rid of the parts… I’m patient, I’ll wait for a CIB or boxed copy. It’s much easier finding the manual than the box. The box is the only thing i’ll buy separately if I see it, they are the most valuable part of the CIB by far. You have $10 games that are suddenly $100+ if CIB, it’s insane that a cardboard box can cost 5-10x more than an actual cartridge haha. I more or less follow the same logic for my other cherished collection, PSX… the discs are easy to find, the manuals aren’t hard with a bit of patience and the “boxes” – back insert in this case being the hardest single piece to find. Do you ever “upgrade” a piece when you find one in better condition? I’ll upgrade pieces but it is rarely on purpose, usually it’ll be because I found a copy for a good price in better condition than what i have, then I’ll upgrade mine and pass the savings along to another collector. I find that patience is the single most important thing in this hobby if you don’t want to burn out. I’ve seen a lot of new and young collectors go out and blow thousands of dollars very quickly and load up on everything they can find cheap. They’re left with a whole ton of games that don’t necessarily mean anything to them but cost a lot and take up a bunch of space… it’s unsustainable from a storage as well as budgeting point of view and more often then not leads to disillusionment and them dropping out after a year or two. We’re in our third ‘collector influx’ wave since i’ve been following the hobby and the only thing that changes is the platform du jour ‘gateway drug’ . I recommend observing the trends, learning what is rare and what is expensive and what is both, figuring out what means something to you and why and try to picture what you want your ‘end goal’ to be. Even though you’ll never reach it… it’s a moving, ever expanding target, but if you stay true to yourself you will end up having a really great time with a great selection you are proud of and love, and can always trade away or sell to reinvest as quality is the only thing that never goes out of style. Every collector is chasing something, for me it’s creating a game room library with the best of the best I always wanted but could never have from the time my friends and I were young gamers discovering and sharing our adventures without seemingly a care in the world. The transition for me, and I suspect for most/all collectors from ‘just buying games’ to ‘collecting’ always starts with a “I’d love to relive by childhood with the games I had” and leads into a rabbit hole of games you missed and new releases which tickle that itch. The collectors who are the most fun to hang out with and talk to are the ones who are just bubbling over with enthusiasm and excitement about their collectibles. With your older handhelds: are they all original hardware? Any modded/upgraded hardware in your lineup? Which units do you end up playing with the most? Which ones do you end up neglecting the most (maybe due to screen quality, etc)? Oh man, what a great question! 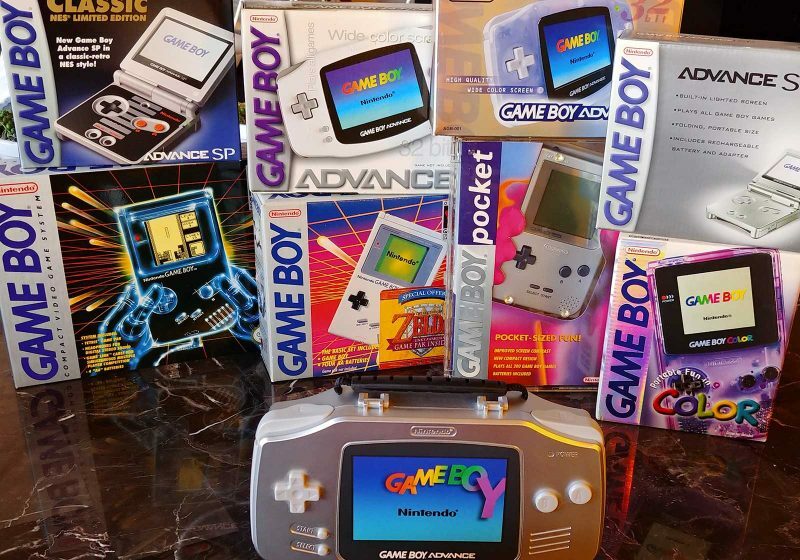 So I have a pretty extensive collection of Gameboys (it’s my favorite afterall)…. I don’t really care about collecting different colors so they all must have merit. Besides having the original hardware of each iteration, I have two backlit DMGs (one white backlight and other washed yellow – which I cannot recommend enough, it really is the best way to play those old games), two backlit Gameboy Pockets – one is biverted and one is not. I higher recommend Biverting these, the games just look way too weird otherwise. I’m going to get rid of the non-bivert one sometime soon. Backlit Gameboy Pocket is a fantastic way to play original carts, as flash carts introduce power issues. Then we got a front lit Gameboy Color which I cannot recomend to anyone – the colors look washed out and the modding process seldom goes well, leaving weird contrast splotched in places. I also have a BennVenn backlit Gameboy Color. It is a pretty intensive mod which shoves a GBA SP 101 backlit screen inside the gameboy color…. it’s a messy mod that required glue-gunning the shell back together, it looks great but aesthetically even a good job leaves something to be desired. Then we got a couple of “AGB-101” which are the original landscape GBA with a AGS-101 backlit screen modded in – definitely the best way to play GBA games. If you were to only buy one to play everything it would/should be that one! If you want a more classic experience then a DMG or Gameboy Pocket modded with a ‘washed yellow’ and bivert chip is the way to go! I have a McWIll-modded Game Gear which is really the only sane way to play that thing these days. I recapped another Game Gear and even with restored electronics… that screen is just awful, which is a shame since the games are pretty incredible and gorgeous! I swear this is the single biggest transformation in retro game modding – it not only breathes ‘new’ life into the system but makes it entirely enjoyable! It even takes less battery juice haha! I haven’t gotten into Lynx or TurboExpress but if I ever do then I won’t even bother buying those without a McWill mod. My PSPs and Vita are stock but hacked… Sony did such a great job on that hardware (every iteration of it is truly a pleasure to hold and play really) but when it came to actually getting games onto those wonderful screens, it’s just a mess…. from the loud, battery draining UMD drives (PSP 1000-3000) to the limited built in storage storage (PSP GO) to the absurdly expensive and limited proprietary memory cards of the Vita… It’s a shame really, and I am convinced it help sink all three platforms. Having recently moved in with my fiance and planning a wedding, everything got moved into boxes and storage. The 5-year plan includes buying a house where I’ll set up a Game Room. I’d like to display all of it, with anything I wouldn’t want on the shelf going straight to the trade/sell pile. Do you have any recommendations or advice to share with retro gamers that may have an upcoming move? There are definitely a lot of lessons learned here. I ended up splitting my collection in three parts really. The stuff I’ve collected early I left at my parent’s apartment in my old room… Big Box PC stuff, NES, PSX, Genesis, Gamecube/Xbox. Stuff I collected in the last 5-10 years got split up between storage (most disc based games in modern dvd style cases) and the top/back of the closet for the really valuable and meaningful stuff. Thats where my GBA collection lives among other things as it’s the subset I’ve spent most time/energy on (almost done!). I bought these 12″x12″x15″ cardboard storage boxes with removable tops and stacked everything inside… gotta be careful stacking so that weight doesnt crush the stuff at the bottom so stack them upright. I’m a CIB-only collector so while it’s easy to tetris it together, you gotta be really careful with orientation for long term storage, and it takes up a lot more space. It’s important that wherever you store them, there is climate control, extreme humidity and heat will ruin all types of games. 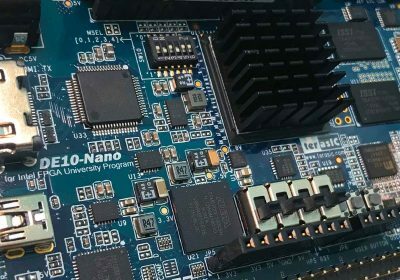 You can get rust and corrosion on cartridge PCBs and the data layer on old and poorly manufactured optical discs will begin to flake and get pinhole (mostly a problem with Sega discs), even cardboard boxes and manuals can get wavy over time if stored in an overtly humid environment. Older photo of Vlad’s PS1 and Gameboy Advance CIB collection before his move. So are you keeping more of the “portable” parts of your collection with you in NYC? Yep! All my DMG Gameboy and Game Gear stuff is under my bed in our apartment (incidentally the only non-CIB part of the collection), The PSP stuff went to storage since most of it is sealed (it’s just so much easier to download the UMD ISO than deal with them… but I can write an entire article on the PSP’s rise and fall haha). The CIB GBA collection is carefully packed inside boxes and hidden away in closets, i use flash carts to play most games anyway out of convenience and those boxes are so fragile you dont want to keep opening the flaps anyway. What organization/storage strategies are you implementing in your smaller living arrangements? Thanks so much to Vlad for sharing his story with us. If you can relate to his story, I’d love to hear your thoughts in the comments below. If you’re still enjoying this interview series, please let me know as well! Cool series. 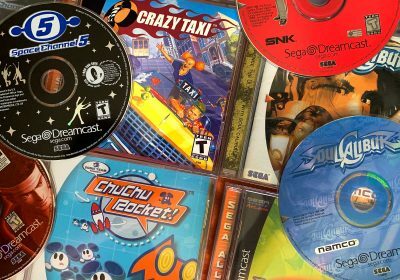 The note about preservation reminds me that I need to sell off what I can of my Dreamcast collection sooner rather than later.